Fornite For iOS is now officially available, the game was previously launched as part of an invite-only beta on Apple’s platform but now anyone with a compatible iOS device can get into the action and play. Fortnite is compatible with any iPhone SE/iPhone 6S or higher running iOS 11 and any iPad mini 4/iPad Air 2 or higher. Now other can experience the hit game for themselves. Fortnite has been a big hit since its launch. Huge actually. It has already set sales records for developer Epic. The game is free to play but there are additional purchases which include in-game items and a three-month subscription service that players can purchase if they want to. 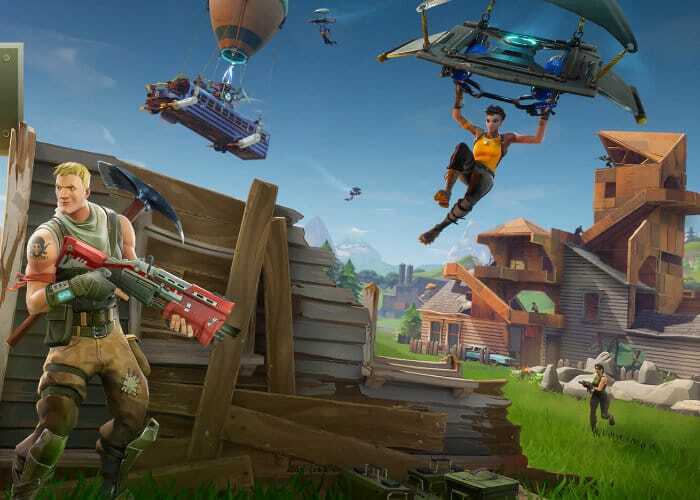 Fortnite for iOS was first released as an invite-only beta but Epic gave invites out generously and players had the ability to invite up to three players to join the platform as well. Epic has officially confirmed through the game’s official Twitter account that players on iOS no longer need an invite. Just head over to the App Store to download Fortnite and jump into the action. You’ll love it. Fortnite is not supported on the iPhone 5s, 6, 6 Plus and the iPad Air, Mini 2, Mini 3, and iPod touch.